UPDATE: This recipe has recently been featured in The Sunday Times ST FOOD section. You can find a write-up about me, and this recipe over here! I remember preparing this Chinese honey pork ribs for my former colleague’s ROM BBQ party at the NTUC chalet years ago. It took me almost the whole day to prepare about 20 kilo of pork ribs to feed about 100 people. But it was all worth it when I saw everyone queueing up for the pork ribs even though there are many other food being served, and everyone loved it. But don’t take me at my word, go and try out the recipe and you will find out for yourself! Most sticky honey pork rib recipes I’ve come across either call for braising the pork ribs for a few hours, or for marinating it and grilling or barbecuing it. I have tried both methods before, but in my experience, the braised honey pork ribs, while tasty, ended up looking rather pale and unappetising, whereas the grilled or barbecued honey pork ribs had a lovely charred colour but the meat was too dry. After many rounds of experimentation and modifications, I ended up creating my own “hybrid” version. 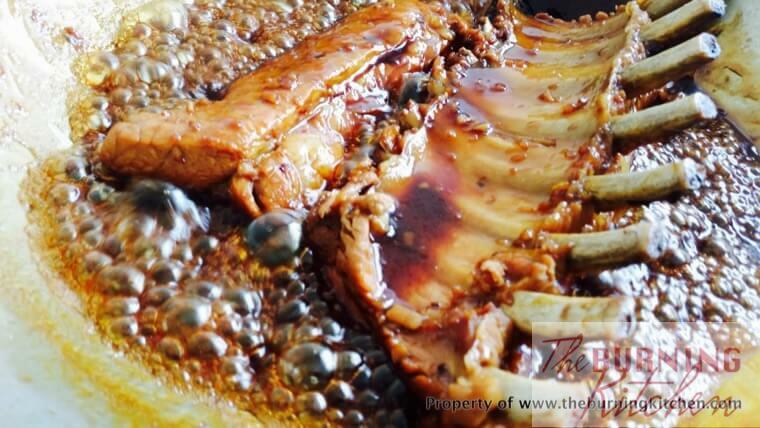 The tenderness comes from braising the pork ribs for about an hour to retain the moisture in the meat during cooking. The sticky shiny glaze and slightly charred flavour and aroma come from brushing the braised pork ribs with maltose and briefly grilling it at high heat. 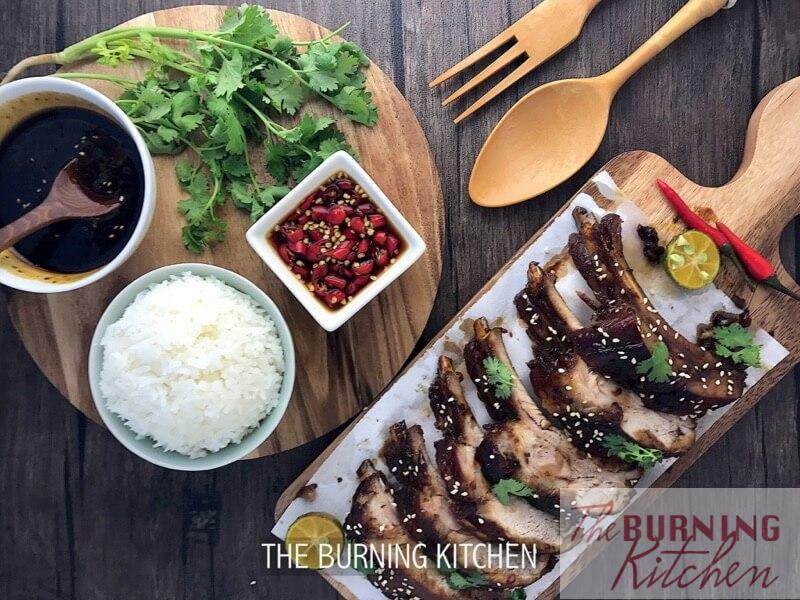 The result is the most succulent, melt-in-your-mouth, fall-off-the-bone-tender and tasty pork ribs you can get! The tenderness of the meat, done by braising the ribs for an hour. The sweet, barbequed flavour of the glaze, with maltose as the main ingredient. 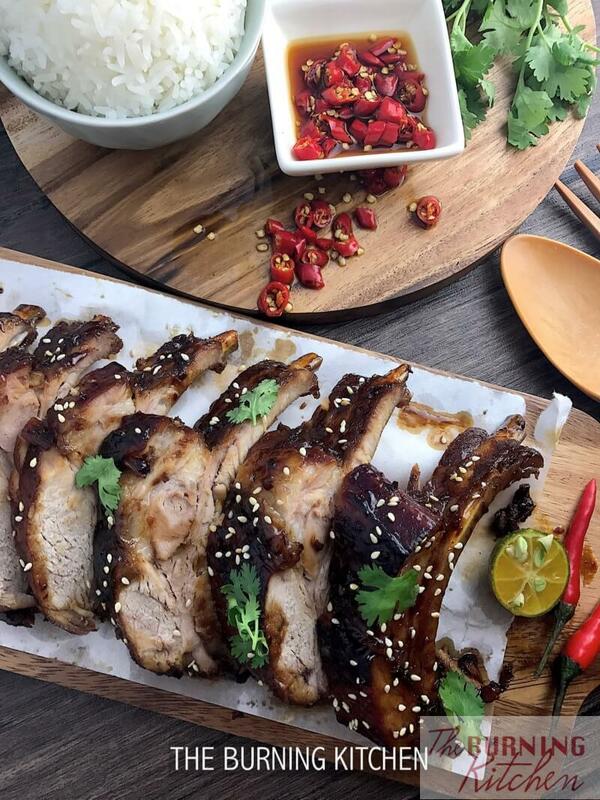 HOW TO MAKE HONEY PORK RIBS? Wash the pork and blanch it with boiling water to remove the smell. Wash the spring onions / parsley and chilli. Slice the chilli finely and set aside. Then slice the spring onions. Put all the ingredients into the wok and bring to a boil over high heat. Put the whole piece of pork rib into the wok, making sure that there is enough to cover the pork ribs. When the water is boiling, lower the heat. Then allow the pork ribs to simmer for 1 1/4 to 1 1/2 hours until the meat is soft but not disintegrated or until the gravy becomes sticky. Remove the pork ribs and place on a rack. Set the gravy aside for later use. Glaze it with maltose and grilled in the oven at 220 degrees celsius for 5-10 mins with top fire only until it is slightly charred. 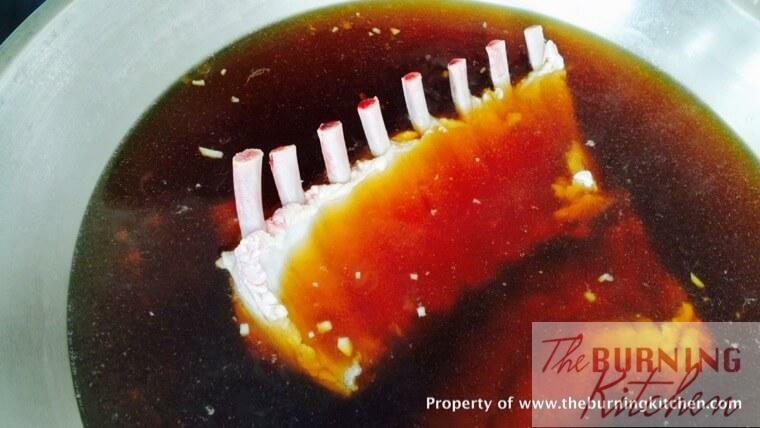 When ready, cut the pork rib rack into individual ribs. Garnish with sesame seeds, spring onion/parsley, and chilli, and serve with rice and the sticky gravy. Ask your butcher for a fatter cut. 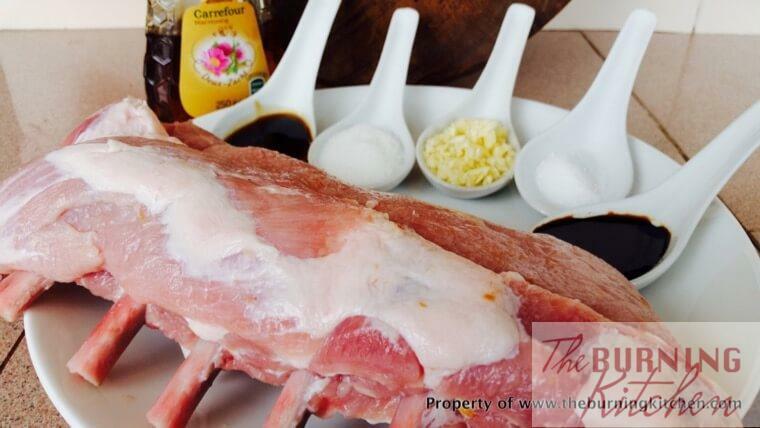 The pork rib must have some fats in between otherwise it will be too dry when cooked. Add a little boiling water to the pot if the water has dried up before the 1h 15 min mark. But don’t add too much as the end goal is for the sauce to become thick and sticky at the end of the simmering time. Likewise, when grilling the ribs, do not walk away because the ribs can get burnt and become bitter as the sugar in the maltose gets burnt very quickly. Insert a chopstick through the meat to check if the pork ribs are done. If the chopstick glides in easily to reach the other side, the pork ribs are done. Store garnishes in the fridge after washing and chopping. Garnishes like fresh spring onions and parsley can wilt very fast. If the parsley looks wilted, you can easily revive it by placing it in a bowl of ice water until ready for use. Gluten-Free: Ensure the condiments used are gluten free versions. WATCH OUR VIDEO for how to make this recipe! Tried this recipe? Please rate our recipe or leave us a comment! You can even upload a snap of your creation! Don’t forget to subscribe to our Youtube channel for more yummy videos! Do also join us at TBK Home Cooks Facebook Group where you can post photos of your food, ask questions, share recipes and clean cooking tips from others in the group! 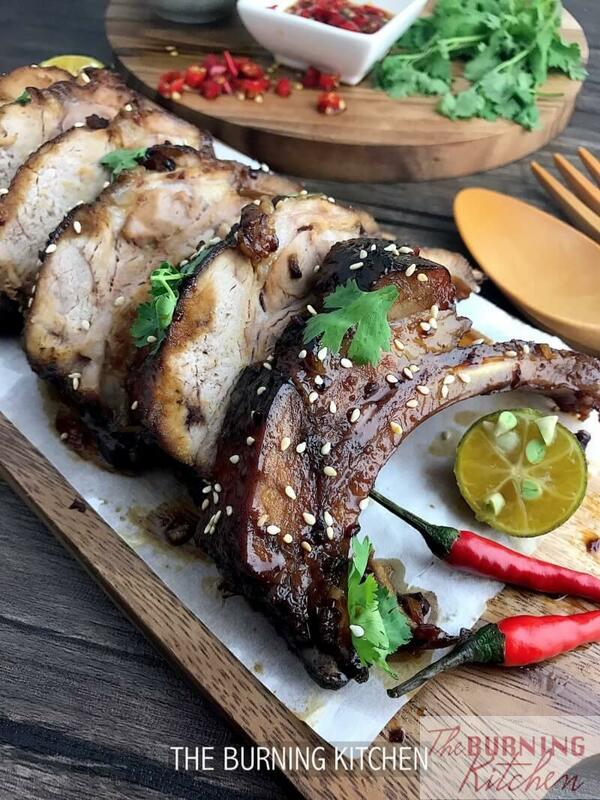 [AS FEATURED ON ST FOOD COLUMN] These Chinese Honey Pork Ribs (蜜汁排骨) may well be the most succulent, melt-in-your-mouth, fall-off-the-bone pork ribs you have ever tasted. Find out the secret to achieving that sticky shiny glaze and smoky aroma! Add a little boiling water to the pot if the water has dried up before the 1h 15 min mark. But don't add too much as the end goal is for the sauce to become thick and sticky at the end of the simmering time. 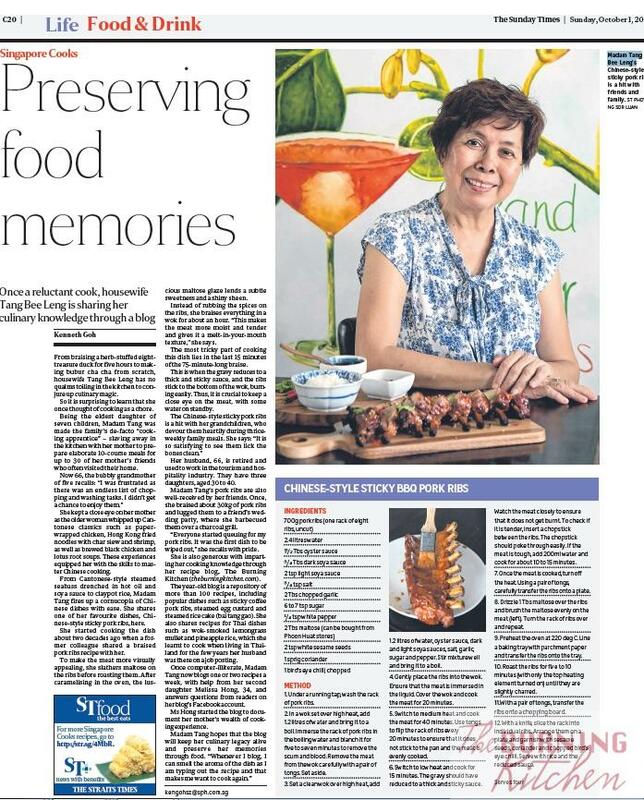 Bee Leng spent most of her childhood in the kitchen learning the ropes of Chinese/Cantonese cooking. She loves to shares her treasury of heritage recipes and cooking wisdom gleaned from a lifetime of kitchen (mis)adventures. If you send her a photo of a dish gone awry, she can probably tell what went wrong! 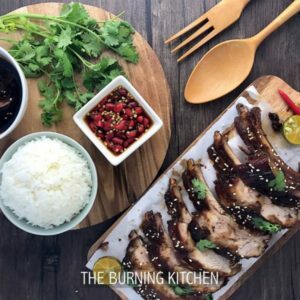 TheBurningKitchen.com is a participant in the Amazon Services LLC Associates Program, an affiliate advertising program designed to provide a means for sites to earn advertising fees by advertising and linking to amazon.com. Amazon, the Amazon logo, AmazonSupply, and the AmazonSupply logo are trademarks of Amazon.com, Inc. or its affiliates. It is ok to use the wok. After braising, simply put hot water to the wok up to the glazed level, and let it boil for a few mins. The sugar will melt, making it easy to wash the wok without much effort. If there is still some glaze on it, repeat the boiling process again and wash.